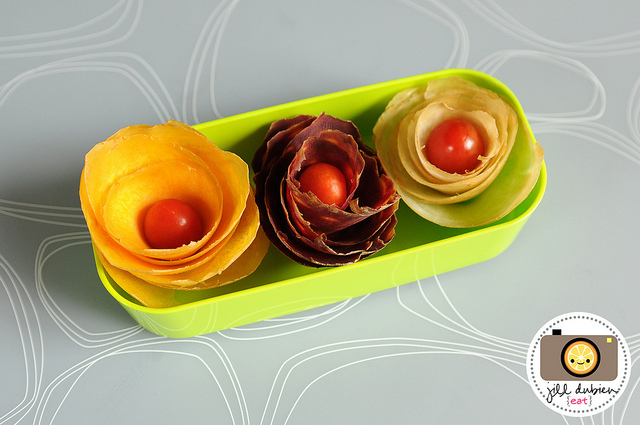 These fun carrot flowers are meant to dress up a bento box lunch, but I think they are the perfect accessory to dress up your next veggie tray. Let's be honest, there is only so much you can do to make a plate of veggies look pretty and this is at the top of the list. You can check out how to make carrot flowers over at Meet the Dubiens.